There are all sorts of reasons why it may be worth it for you to upgrade to a new garage door opener. The safety and security enhancements will be a great addition to your home, and the different features modern opener models have to offer will make your life a lot more convenient. As garage door openers become more and more technologically advanced, their ability to increase the security of your home also improves. Their first priority is always user safety, of course, but security is never far behind. New models come equipped with special timers that close the door automatically in case it is unintentionally left open, as well as a variety of access restriction methods, such as fingerprint identification, and special code application. One of the main methods of preventing tech-savvy burglars from exploiting your opener is the incorporation of rolling code technology. The Genie intellicode and the LiftMaster Security+ 2.0 features are examples of that. This technology changes the opener's access codes each time you use the remote, wireless keypad or any other device to communicate with it in order to open the door. Therefore, even if someone was able to intercept your access codes, they would be useless by that point. Security isn't the only reason to upgrade your opener. Many brands implement a wide variety of accessibility features that make using your garage door more simple than it's ever been. WiFi compatibility and apps like MyQ and Aladdin Connect can allow you to use your door opener with your smartphone, tablet or computer. You'll be able to do away with the remote, which often can become a hassle as it must be kept on a keychain and away from the hands of children. This will allow you to have the "key" to your home quite literally inside your phone. The aforementioned apps do more than allow you to use your door. They can also help you monitor its action, keep track of its opening and closing, and make sure that the condition of a lot of its different components isn't getting worse for wear. The highly advanced systems that many opener brands implement into their models are a well worth investment that will be a major benefit to your daily routine. While it is possible for you to spend hours upon hours researching the different benefits that each model has to offer, a more time-effective option is simply to call our team at Garage Door Repair Carlsbad and consulting with our experts. Don't hesitate to contact us today. We’re a dedicated team of garage door repair experts who specialize in delivering a vast range of top quality services. If your door needs fixing we can handle it, no matter what the problem is. 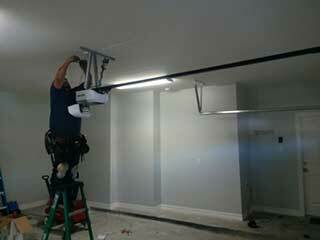 We also provide expert maintenance and installation services. If you want to book an appointment, you can use our online scheduling system to select the time and date that's convenient for you. At Garage Door Repair Carlsbad we hold your satisfaction above all. Count on our team when it comes to clean and professional work. Thank you for choosing our company! Feel free to browse our website for more information in the meantime. Our team at Garage Door Repair Carlsbad is at your service any time!